Keller Williams, the largest real estate franchise by agent count in the world, has expanded its network to the Grove City area with the opening of Keller Williams Premier Realty right on Broadway. The newest Keller Williams market center is led by Susan Parrish, operating principal, and Tracy Chambers, general manager. 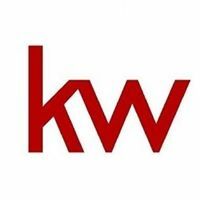 Keller Williams keeps its agents performing at the highest level by offering them leading-edge training and technology. In 2015, Training Magazine named Keller Williams the No. 1 training organization across all industries in the world. The company’s models, systems and culture attract and retain the best agents in the business. We are excited to strengthen our relationship with the community of Grove City and surrounding areas.